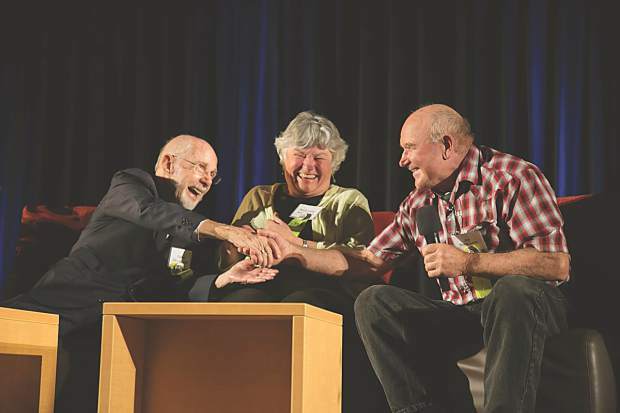 David Delaplane, âfounding fatherâ of Colorado Mountain College, reached out to Spring Valley land donors Marianne Quigley Ackerman, Jim Nieslanik and Sharon Nieslanik (not pictured) at the annual gathering of college employees in May 2016. âYou were right all along [about locating the campus there],â Delaplane said. âDavid, Iâm beginning to like you just a little bit,â Nieslanik said. 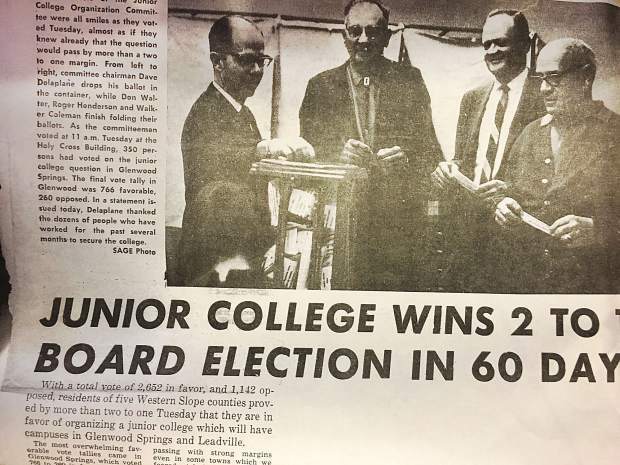 In a page from the Nov. 4, 1965, Glenwood Springs Sage, Dave Delaplane, Don Walter, Roger Henderson and Walker Coleman, all members of the junior college organization committee, are shown voting for junior college. 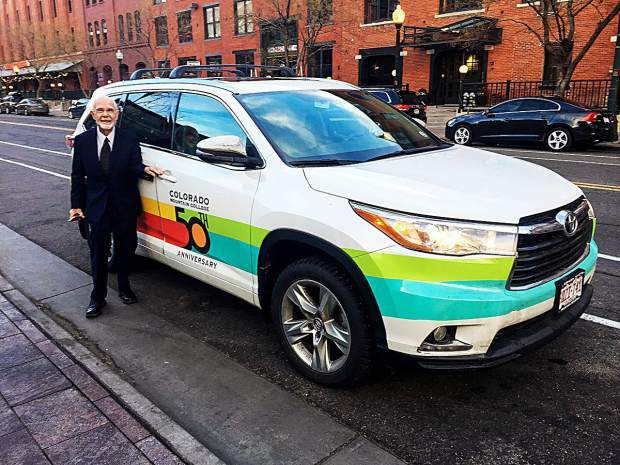 Itâs not 1967 any more: In early 2017 the âfather of Colorado Mountain College,â David Delaplane, took a spin around Denver with CMC President Carrie Besnette Hauser in her car thatâs been decorated to celebrate the collegeâs 50th anniversary. They spent the day being interviewed by media and the state historian about CMCâs half-century milestone, discussing the collegeâs past, present and future. 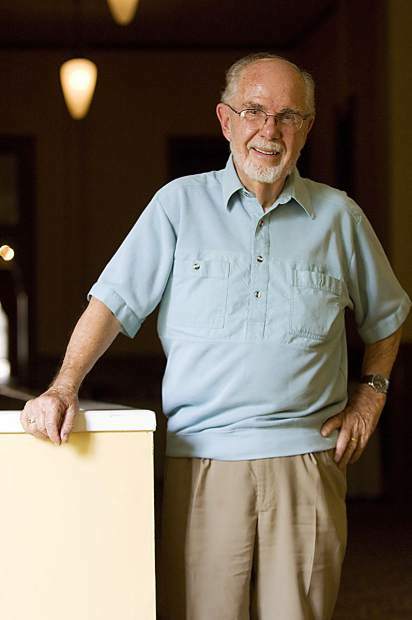 David Delaplane, known as the father of Colorado Mountain College, in 2007 celebrated CMCâs 40th anniversary along with students, faculty and community members. Among the highlights the college has experienced in the decade that has passed since then are the leadership of CMC President and CEO Dr. Carrie Besnette Hauser, the opening of the Isaacson School for New Media, the completion of CMC Steamboatâs three-story academic and student center and the introduction of bachelor's degrees â the third-most-affordable such degrees in the country. 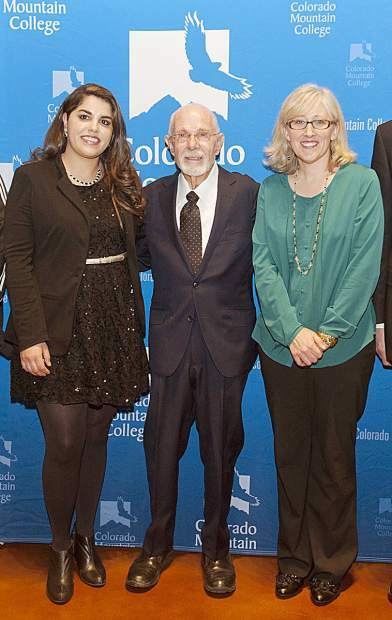 David Delaplane, center, one of the key visionaries behind the launch of Colorado Mountain College, received an honorary membership in the Colorado Mountain College Alumni Hall of Fame at the 2015 induction ceremony with, from left, Yesenia Arreola, Spring Valley alumna (2007); and Amy Jackson, Breckenridge alumna (1999). It took 50 years and a high-profile celebration to reconcile David Delaplane and the ranchers who donated land for the college he started. Colorado Mountain College’s founding was nearly seamless, with an overwhelming majority of residents in the original district voting in favor of the junior college. But before the school could educate Western Slope students, the campus had to be constructed. And before construction, a site must be selected. That was the root of 50 tense years. The college’s eastern site was settled without a hitch. Leadville’s support was essential to the district’s launch, and selected land provided a beautiful site for the campus. Glenwood Springs’ western campus, though, was contentious. The school’s five-member governing committee considered several locations: Red Mountain-adjacent property to be donated by Union Oil Co. was ruled out after a geological consultation revealed unstable land. Four hundred acres of ranchland appealed to board members and were initially approved as the site. But Delaplane was under pressure to locate the college more centrally, and pursued an in-town option. On Oct. 28, 1966, Delaplane realized the committee was leaning again toward the Spring Valley property. The group emerged from a nearly three-hour executive committee meeting at 2 a.m. and announced its decision: the committee, including Delaplane, voted unanimously for the Spring Valley property. CMC was on its way, but the tension between Delaplane and the ranchers wouldn’t quickly dissipate. Delaplane’s opinion carried weight not only because of his leadership role, but because the college was his idea. The Denver native relocated to Glenwood Springs in 1960 at the urging of his parents, who had already moved to the city. Delaplane pastored churches in his hometown, and so he set out to establish a new church in his new city. West Glenwood Chapel — now The Pointe — opened on Midland Avenue, and Delaplane remained in leadership for the rest of his Glenwood days. But Glenwood Chapel was a small church, and so Delaplane needed a part-time job to support his growing family. After several years managing Glenwood Hot Springs Lodge, in 1962 he became director of the chamber of commerce. Delaplane pored over chamber files in an effort to learn issues facing the business community. He studied efforts of the committee to retain merchants. He read up on the agricultural committee’s annual farmers event. He learned about the tourism committee’s efforts. But when Delaplane opened the education committee folder, all he found was a list of names. “It just came to my mind: I wonder if we shouldn’t have a college here,” Delaplane recalled during a recent conversation in his Denver condominium. Mesa State College, now Colorado Mesa College, served people in its area. Students could travel to one of the state’s four-year colleges. But Garfield County students didn’t have a place to acquire trade training or to complete their first two years of core classes at a lesser expense than the universities. With the education committee on board — including Glenwood Post Editor and Publisher John Samuelson — Delaplane began to learn what was necessary to bring such a school to town. Among the requirements he learned from the state Department of Education: 400 graduating high school seniors in the district, a $60 million tax base; and, if the district were to include multiple counties, they must be contiguous. Garfield County couldn’t meet those requirements on its own, and so the committee began to identify potential partner counties. After being turned down by Routt County because the private Yampa Valley College was already underway, the committee settled on Garfield, Pitkin, Eagle, Summit and Lake counties. “Then we had to sell it,” Delaplane said. There was the challenge: How to convince voters to approve a school that would be located miles away in Glenwood Springs? Leadville proved an essential partner, thanks to mining operation Climax Molybdenum Co. Leaders in Lake County and executives from Climax met with the education committee and agreed to support the district — if the committee would promise a campus in Leadville. “They said, ‘Particularly if you’ll put a focus on some of the skills we need in the mining industry, we’ll go along with it,’” Delaplane said. The resulting dual-campus model reduced the distance between potential students and the school. The committee began to travel the five-county district in pairs to drum up voter support. Delaplane was half of nearly every pair. “It was busy,” he said with a laugh. With an audio slide show from a national junior college association in tow, committee members would explain a community college’s value to PTAs, chambers of commerce, service clubs, anyone who would take a meeting. Post Editor Samuelson’s involvement proved valuable, too. The newspaper prominently advocated for the college. An Oct. 27, 1965, front-page headline boldly proclaimed “Your ‘FOR’ vote Tuesday, November 2 means the creation of a NEW Junior College for West Central Colorado!” Both a front-page story and ads itemized reasons to support the effort, among them affordable higher education and the promised Glenwood campus. Articles also noted the state’s existing higher-education institutions were crowded and it was increasingly difficult for students to enroll. After months of grassroots campaigning, voters overwhelmingly approved the college — and voted to tax themselves. Only Summit County rejected the measure, but because of it was part of the district, its residents, too, were subject to the tax. The tax was approved, but tax money takes time to flow in. Climax lent CMC money so the school could move forward to hire a president and other staff. As the college grew, so too would its tax base; the district’s ski resorts took off in the same era. Delaplane joked that if Aspen was then what it is now, it wouldn’t have taken five counties to establish a large enough tax base. As it was, Aspen’s Snowmass and Glenwood’s Sunlight opened in 1967, as did the college. Skiing at existing resorts boomed. “We just benefited from a lot of good things,” Delaplane said. As a result, CMC relies on little state funding. The college retired its debt in 1995. With Climax’s loan as support, Delaplane and Pitkin County representative David Barbee interviewed Oakland Community College dean Joe Davenport in that school’s Detroit suburb. He would become CMC’s first president. “During that year, besides hiring the president and naming the college” — with committee member Harold Koonce’s suggestion — “we also had to find out where we were going to put it,” Delaplane said. Union Oil offered land near Red Mountain it had purchased for water rights. The land itself wasn’t essential to the company, and so Union Oil was willing to donate the property. But an alluvial fan meant unstable land. A group of Spring Valley ranchers heard the college was having trouble securing a site, Delaplane recalled. Jim Quigley rallied his neighbors to donate land to the proposed college. Jim Quigley, Dan and Ellen Quigley, Jim and Sharon Nieslanik, Esther and Raymond Hopkins, Kathleen Hopkins, Jackie and Peter Cabrinha, Bob Peckham, Sam Campbell and Georges H. Dapples, William E. Foster, Bruce Dixson, and Luke Anthony offered 588 acres without charge. But at the time, Spring Valley was considered remote. “People in town were saying, ‘Hey, we voted for a college in Glenwood, and we still won’t have a college in Glenwood because it’s way up there on the hill,’” Delaplane said. The committee members from other counties were eager to accept. “It’s a beautiful spot — a spectacular spot. One of the most beautiful valleys in the whole of Colorado,” Delaplane said. But there wasn’t a road to the property, nor infrastructure to support the college. So when several hundred acres near the airport became available at low cost, Delaplane pushed instead for that spot. The committee already approved Spring Valley with a 3-2 vote, but Delaplane continued to push. The group approved the new offer with a provision: Within a couple of weeks, there must be a plan in place to get electricity and water to the remote site. By the time the group reconvened to finalize the decision, Delaplane realized opinion had swung back to the Spring Valley location. The vote could go back and forth again and again, he worried. Instead, he decided to vote with the rest of the group. “I remember how happy they were that it was unanimous vote,” he said. Come fall 1967, Colorado Mountain College offered its first classes within a series of modular buildings located at the top of a gravel road. “The first students who came up there just beat their cars to death going up there,” Delaplane said. The school changed the city and the businesses around it, Ackerman recalled. Were it not for CMC, Ackerman said, many of her peers wouldn’t have attended college at all. Schools in Mesa, Gunnison or Colorado State were the common choices. She enrolled as part of the college’s first class, and was thrilled by the new people drawn to Glenwood Springs. Today, Colorado Mountain College is a much more mature version of the school Delaplane helped found half a century ago. Eleven centers stretch across north-central Colorado, offering 54 associate degrees, 77 certificate programs and five bachelor’s degrees. Although Yampa Valley College initially kept Routt County from joining the district, in 1981 became a CMC campus. But over all the years, tension lingered between Delaplane and the farmers whose land he argued against. He recalls the group avoiding one another at a 40th-anniversary event. But come March 2016’s CMC Day, it was time to heal that fracture. It was a moment of reconciliation, a 50-year healing. Now, as the college faces the 50th anniversary of its first class — which nearly coincides with Delaplane’s 90th birthday in September — he’s able to look back with pride. “I can still visualize myself sitting at a desk and having a thought. Out of a thought comes this massive institution,” he said. “It’s really surprising, isn’t it, how you take one step at a time? You do the next thing, you get the guys together, and you call the state to do what you have to do.